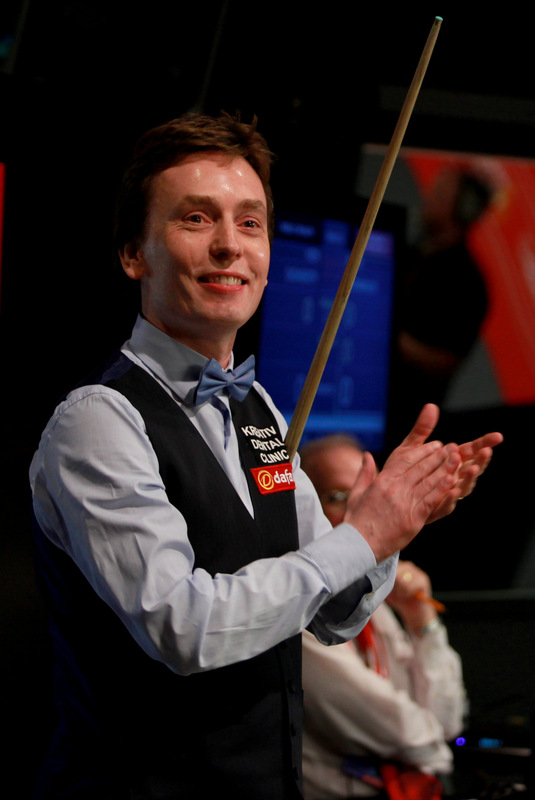 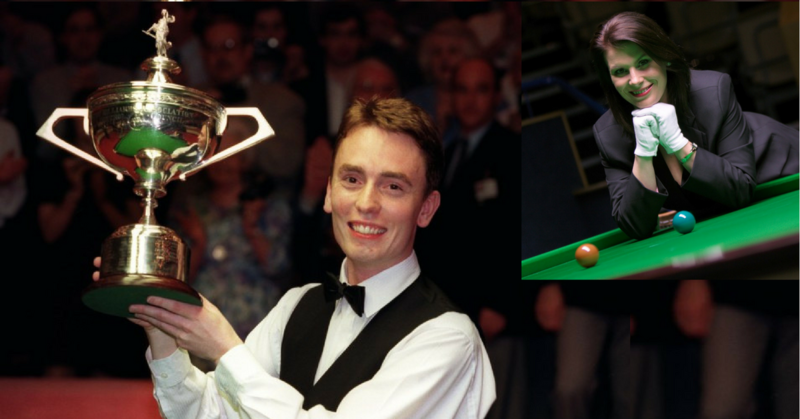 Ken Doherty is 1997 World Snooker champion known as “The Darling Of Dublin” still competing on the pro tour and also commentating for BBC. 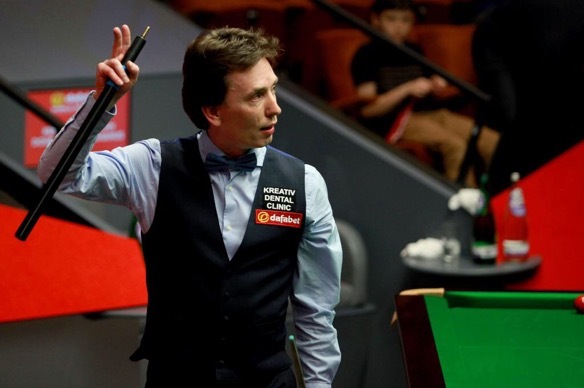 Michaela Tabb is a snooker and pool referee. 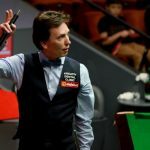 During her 14 years on the World Snooker tour, she became the first woman to officiate at a professional ranking snooker tournament (2002), the first woman to referee a ranking tournament final (2007), and the only woman ever to have refereed the World Snooker Championship final (2009 and 2012). 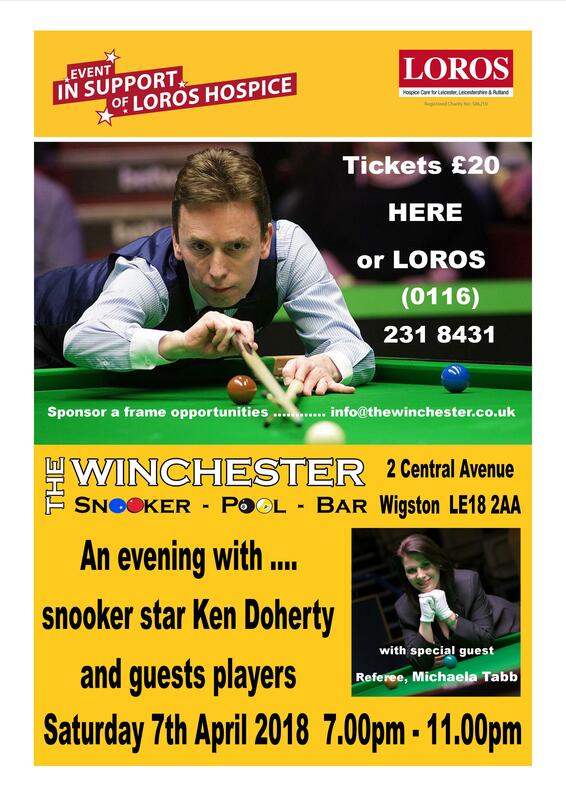 Ken and Michaela are coming to The Winchester on the 7th April to meet with our members and guests. 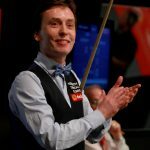 Ken will play several exhibition frames with lucky winners of our Junior Snooker Academy challenge and The Winchester Winter Snooker League. 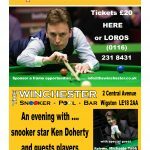 Tickets are £20 and available to buy at the bar or from LOROS, and limited to first 90 people.